Merry Christmas to you all. I hope this post finds everyone enjoying their family preparations for the fast approaching holiday. We're sewing, sewing, cooking, and having a whole bunch of fun here. The children and I have many, many of the presents and outfits for Christmas this year. Some of the things were made from current patterns and others from new things coming in 2010. We'd love to have a little fun and give away some patterns in the process, so we're having a contest, and giving you all a chance(s) to win a pattern of your choice. Five patterns will be given away to 5 participants. I'll draw from the comment numbers on Monday at 12:00 Noon ET. If you already own a SquigglyTwigs Pattern, here is what you can do to enter. 1. Post a picture of something(s) you've made in the SquigglyTwigs in Action flickr group. Then, tell me you did in a comment to this post. Or, if you own a pattern and haven't sewn it yet...tell me your plans for it in a comment. Within your comment, make sure you tell me which pattern you'd like to have. 1. Choose one you like and tell me why and how you'd use it in a comment to this post. After you've done #1, you can get an extra entry for a comment about each of these....blogging the contest, facebooking, etc., e-grouping about the contest. Make sure to post a comment about each thing you do, as the winners will be chosen by random comment number draw. Just in case the winner already owns all of the current patterns (some people do), they will get to choose a future pattern. I can't wait to see the photos in the flickr group, and read about your ideas for sewing with SquigglyTwigs Designs, inspirating ways to use SquigglyTwigs are always fun to see. I love the Patchwork Peasant Dress pattern. Both of my girls love twirly dresses. I love that there is a large size range in your patterns. Nothing makes my girls happier than matching dresses! I have the Patchwork Peasant Dress pattern, but I can't take a picture because everything I made with it is wrapped under the tree! I changed the bottom a little because of time constraints, but I really like how they turned out. I made nightgowns for my girls. 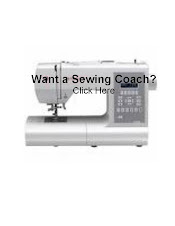 I would love to try your Quick & Easy pants. I like that it includes bigger sizes and is adaptable for both boys & girls. I could use it for all 3 kiddos! Thanks for the giveaway! Hi Debbie, I actually did it! I made the Pretty Peasant Dress for Hosanna. I posted pics in the flickr group. It was hard to get a good photo because she never stands still. I posted a facebook message with a link to the contest. I twittered about your contest with a link to this post. so....I do have almost All of your patterns, the only one I lack is the A-Line Skirt. My plans are to make all of them, but I think my first is the Peasant Dress for Valentines Day for my daughter!